Are you an office worker and you hate your job? Your boss is a complete rhino? Ever dreamed of being an elephant in rollerskates and party hard? Well, then Groovy Tuesday is just the game for you. 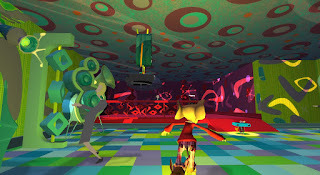 This is a short and free third-person adventure game where you have to funkify your workplace, connecting musical plugmen and watching as the rooms change from grey and boring to colorful and full of life. Created by students from the DePaul University’s College of Computing & Digital Media in Chicago, Groovy Tuesday is a game that tries to create a symbiosis between visuals and sound. The more plugmen connected, the more disco-like the workplace gets. Your coworkers will party really hard, sometimes even in strange positions, including hugging the floor and walls. The ultimate goal is to get your boss to quit being a pain and join the party. 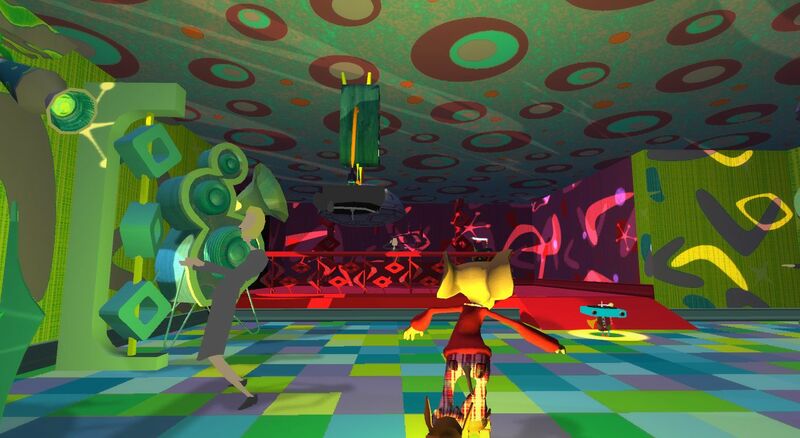 Groovy Tuesday is a game that will quickly become somewhat psychedelic, so be careful if you’re sensitive to flashy imagery.